I bought this as a supply for my sons school year. He has only used it for 4 weeks and the metal binding is bent out of shape and will not keep the folders together. I tried to return it but they only have a 30 day return policy. Great quality! Used everyday by student in 6th grade. The quality is GREAT! My 12 year old son used this for his papers for 6th grade. It held up the entire school year and he used it every day, multiple times a day. 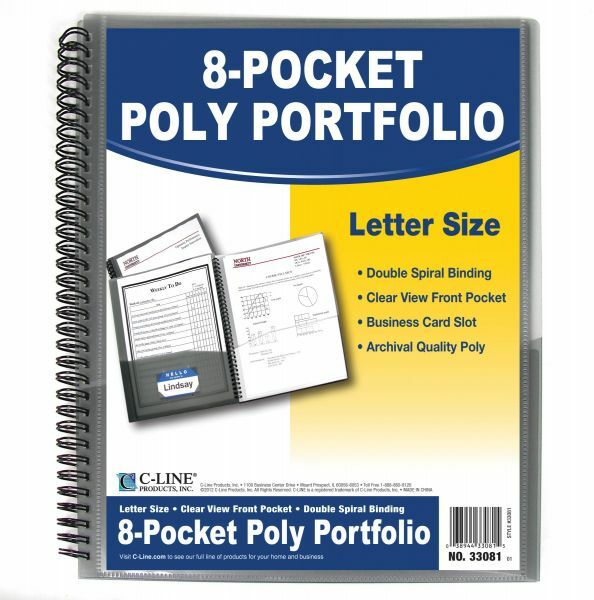 He stuffed a lot of papers in every pocket and none of them ripped and the spiral binding stayed together perfectly. It worked so well that he specifically requested this for 7th grade also. The spiral binding is very flimsy and the product arrived with several pages coming loose from spiral binding. The spiral binding was bent in the area where the pages were coming loose. All the clear pocket sheets inside had an approximate 2 inch by 7 inch irregular shaped discoloration. The clear cover had several discoloration areas also. Binder pages were dusty throughout. The positive is the clear pages are fairly thick and not overly flimsy. Would not purchase again primarily due to flimsiness of spiral binding, and I feel like the discoloration in the clear pages had to have occurred during production so this manufacturer must have poor quality control. I requested a refund which I received from Amazon with no issues. So, I am happy with my Amazon prime guarantee but no this product.